(((Jill))) I'm very sorry that you have lost your dear daughter to suicide. My name is Tammy and I lost a son in 2008. It took a long time for me to find some normalcy in life again. Gentler days are ahead. Our thoughts are with you. 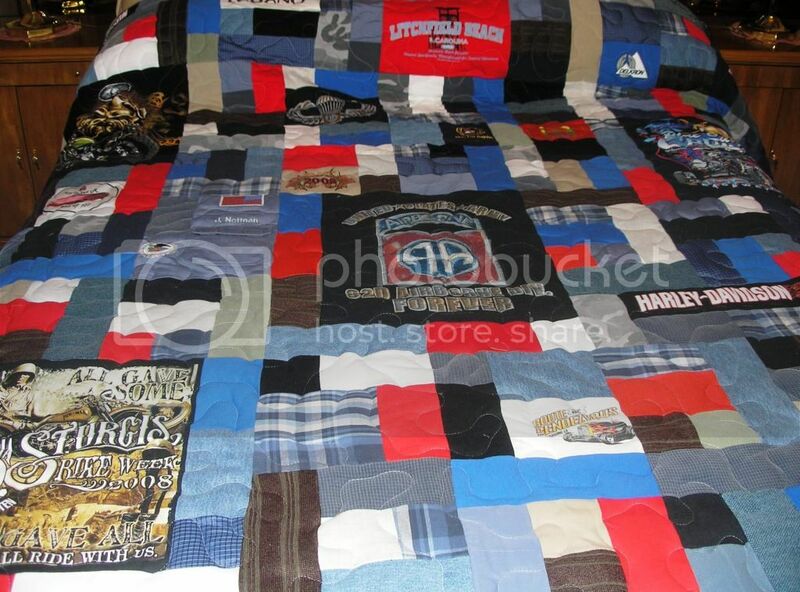 The above photo is the quilt jimsmom had made from Jim's clothing. I just love it! Jimsmom, I'm so proud of you for doing an overnight walk. It was a great experience for me. Can you post the name of your walk so we can find your donation page? When I use the portal page, it takes me to my last walk - not yours. ? I'll be looking for an update on the site. Topic: She left me feeling Guilty! Re: She left me feeling Guilty!